Why Buy from Toyota of Elizabeth City in Elizabeth City? Our new and used car dealership in Elizabeth City, NC is the place to go for all things Toyota! If you are looking to discover the features on the latest Toyota Camry or RAV4 to hit the market or would like to explore the safety systems that come standard on a brand new Toyota Corolla, head to Toyota of Elizabeth City today! Our friendly team of sales associates will listen to your automotive needs then present you with a selection of impressive options that meet your budget. Do not miss your chance to drive home an innovative Toyota Prius, browse our inventory online right now! Our dedicated Toyota sales specialists are excited to highlight the many reasons that buying a new Toyota at Toyota of Elizabeth City is the smart choice. From Toyota’s advanced connectivity features like Entune Audio and smart safety systems like Toyota Safety Sense to Toyota warranty options and the ToyotaCare no-cost maintenance plan and roadside assistance, a new Toyota comes with plenty of benefits! If you are thinking of buying or leasing a new Toyota near the Outer Banks of North Carolina or Chesapeake and Virginia Beach, VA, but are unsure of which model is right for you, then contact or visit Toyota of Elizabeth City. Our helpful sales associates will work to find your ideal new Toyota based on your budget, preferences and lifestyle, and get you behind the wheel of Toyota models for test drives. Toyota of Elizabeth City has both new and pre-owned models to explore, so you are sure to find just what you are looking for! Are you searching for a truck for work or play? Then be sure to check out the comprehensive selection of trucks we have for sale at this Toyota dealer near Chesapeake. We will secure the affordably priced models you are looking for and put you in the driver’s seat for a few test drives. Our new and used dealership near Outerbanks also offers appraisal services so that you can easily trade-in your current vehicle for an upgrade. Contact us to get your Toyota search started or drop by our dealership to have a personalized shopping plan tailored to your automotive needs! Our Toyota dealership will not only help you find a reliable mode of transportation, but we will also help you finance it in our no-hassle environment. Talk to our Toyota finance department to learn about the loan assistance we provide or submit a credit application via our Toyota website now. Our Toyota team is here for you long after you have purchased your new or pre-owned vehicle, so be sure to visit our service department periodically to stay on top of a recommended maintenance plan. 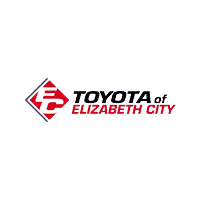 Toyota of Elizabeth City is proud to offer a complete car buying experience, so do not hesitate to visit us in Elizabeth City, NC today! At Toyota of Elizabeth City, we’re not just a dealership…we’re an active part of your community. Complimentary Car Washes for Life with your Toyota of Elizabeth City vehicle purchase. A no cost maintenance plan with 24-hour roadside assistance. The ToyotaCare plan covers normal factory scheduled maintenance for 2 years or 25,000 miles, whichever comes first. 24-hour roadside assistance is also included for 2 years and unlimited miles.